US-Pak Relations Under Imran Khan's Government: Will It Get Better? US-Pak Relations Under Imran Khan’s Government: Will It Get Better? After a hotly contested election, Pakistan’s new Prime Minister Imran Khan officially took his oath of office on August 18. Although the US has questioned Khan’s ascent to power, with Afghan peace talks on the line, could a new government mean a reset in US-Pak relations? Khan, who has been in the political spotlight since 1997, has been well known for his anti-American rhetoric. While Pakistan is in need of a $12 billion bailout from the IMF, the Trump administration has frozen aid to Islamabad and publicly questioned Pakistan’s commitment to the war on terror. With President Trump taking a firm stance on Pakistan, US-Pak relations between the two are increasingly strained, despite remaining officially allied in the war on terror. Khan, who once threatened to shoot down American drones targeting al-Qaeda, has not yet made it clear where his vision for Pakistan stands with the world’s largest superpower. 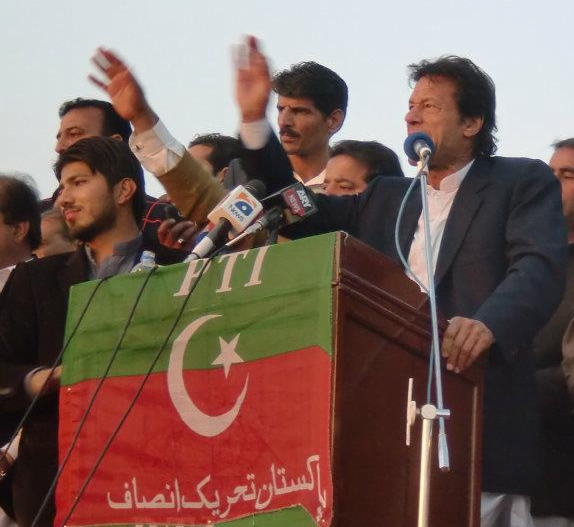 During the July 25 election in Pakistan, opposition figures accused Khan of collaborating with the military to rig the election. Hundreds of allegations of voter fraud were registered while major political figures took to social media to claim the military had taken over ballot counting in key constituencies. Adding fuel to the fire, the software allowing election officials to register results in their constituencies crashed the day of the election, delaying the official results. The State Department’s tone has changed since Khan took his oath as prime minister. On Saturday, Nauert welcomed Imran Khan into office. “For over 70 years, the relationship between the United States and Pakistan has been a vital one,” she said. “The United States looks forward to working with Pakistan’s new civilian government to promote peace and prosperity in Pakistan and the region.” Usually, the State Department waits until the start of the work week to issue similar statements. The express statement could indicate eagerness from the US to collaborate with Khan and his government. Pakistan’s all powerful military has historically dominated foreign policy and leading experts don’t anticipate a change anytime soon. Although Khan is known for his strong will, he is not expected to play a pivotal role in foreign policy. However, Khan’s ministers are singing a different tune. Foreign Minister Shah Mahmood Qureshi has asserted that Pakistani foreign policy will be made by the Foreign Office, not the military. On August 20, Qureshi said, “There are preconceived notions about where the foreign policy of Pakistan was formulated. Let me be clear: the foreign policy will be made here ─ at the Foreign Office of Pakistan.” Despite Qureshi’s confidence, analysts both within Pakistan and abroad remain skeptical. Since it began to look like Khan and his party, Pakistan Tehreek-e-Insaf (PTI), would emerge victorious from the July 25 elections, opposition figures had accused Khan of collaborating with Pakistan’s military to steal the election. Whether or not the allegations are true, Khan is not likely to be a prime minister who clashes with the military or pushes for civilian oversight of the military. In January, President Trump announced the US would freeze aid to Pakistan, claiming that Pakistan has been providing a safe haven for terrorists who later launch attacks on US troops from across the border. With the Taliban launching an offensive this week in Afghanistan, a harsh light has been drawn to Pakistan’s alleged support of terrorist networks. After the Taliban attempted to lay siege to the city of Ghazni this week, President Ashraf Ghani publicly claimed that many of the militants came out of Pakistan and are receiving treatment in Pakistani hospitals just over the border. Pakistan and the US also take different approaches to Afghan peace. While the US seems to have abandoned their hope of an all out victory over the Taliban after a costly 17 year long war, Washington still intends to lead the peace process. Pakistan, on the other hand, supports Afghan led peace talks. US Secretary of State Mike Pompeo will be making an official visit to Pakistan on September 5. Pompeo’s may be Khan’s first meeting with a foreign dignitary, potentially sending a message about the importance of US-Pak relations. Experts expect the meeting will focus on melting the ice between the two nations. Pompeo will likely be geared towards securing Islamabad’s support of US initiated peace talks in Afghanistan. Alice Wells, head of the US State Department Bureau for South Asian gave a statement at the US Embassy in Islamabad this week. She welcomed Khan’s new role as Prime Minister, but also drew attention to the need for peace talks in Afghanistan. The US and Pakistan are still technically allies, since the US needs Pakistan’s support in supplying American troops in Afghanistan. The future of US-Pak relations will likely rest on this issues.